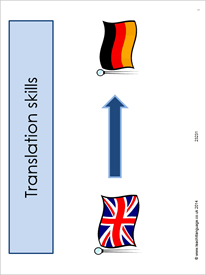 A series of strategies to develop students’ translation skills from English to German. The activities build up from word level to translating a longer text with support. Really like the spot the difference exercise - looking forward to using it with my groups.